Decatur ~ Ruth Weatherly Fellers, 91, of Decatur went to be with her Lord Tuesday, December 4, 2018 in Decatur, Texas. Funeral is 11:00 a.m. Saturday, at Hawkins Funeral Home Chapel Decatur. Family will receive friends 6-8 p.m. Friday at Hawkins Funeral Home in Decatur. Todd Blair will officiate. Pallbearers include Kevin Loraus, David Loraus, T.J. Weatherly, Brady Weatherly, Shane Stegall, Stone Stegall, Justin Loraus, and Jacob Loraus. Ruth was born on May 19, 1927, to Kinney and Edith (Anderson) Odell in Chico, Texas. 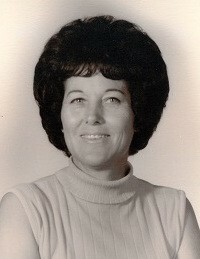 She was united in marriage to James Harold “Shotgun” Fellers in May 1969, in Decatur. Ruth was a retired nurse she was one of the first nurses at Decatur Hospital. She was a member of the Mule club. Ruth was well known in Thackerville, Oklahoma. She was preceded in death by her parents; 2 daughters; her sister; 3 brothers; her first husband in 1968, Herman “Cowboy” Weatherly; and her second husband in 2017, James H. “Shotgun” Fellers. Those left behind to cherish her memory are her daughters, Carolyn Grady of Decatur, Beverly Deaton and husband Mike of Lake Bridgeport; her son, Tommy Weatherly and wife Melba of Paradise; her grandchildren, Shane Stegall, Steven Stegall, Kevin Loraus, David Loraus, T.J. Weatherly, and Brady Weatherly; 7 great grandchildren; 2 great-great grandchildren; her sisters, Margaret Wilson and husband Tom of Boyd, Faye Guthrie of Sun City West, Arizona; her brother, Bobby Odell and wife Linda of Bridgeport; numerous nieces, nephews, and a host of friends.